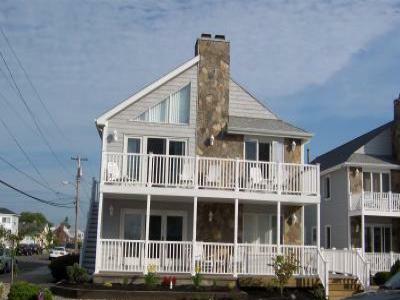 200 YARDS FROM THE BEACH!!!! bathroom with a jacuzzi tub/shower & bidet, and a huge walk in closet. second full bath is located just across from the 2nd & 3rd bedroom. additional chairs and updated top of the line appliances. misc appliances, central AC, gas forced air heat. Bed Linens and towels are not included. Renters need to bring own sheets and towels. throughout the summer months and includes outdoor music and dancing). There are fine restaurants, pubs and night clubs throughout the area. We rent to families and adults only. Must be 25 years or older. No weekends, No Proms & No Senior Week rentals will be considered. Balance due in full, 30-days prior to check-in date. $669,000 For Sale by Owner.